Our Butlins Adult BIG Weekend Caravan Accommodation at Skegness Butlins all have the home from home comforts that you would expect from a modern Holiday home, double glazed, fully centrally heated, fitted Kitchens and verandas with seating, they are situated on the Butlins Resort Skyline Caravan Park within easy walking distance of all the Live Music Venues and the other great facilities Butlins has to offer. For the Butlins Adult music weekends our 3 bedroomed caravans sleep a maximum of 6 adults, our 4 bedroomed caravan sleeps a maximum of 8 adults, our prices include your entertainment wristbands. Conveniently sited close to the facilities on the Dunes area, the Bromley 4 Bedroom Caravan has a comfortable and modern design and is ideal for larger families. Sleeps a maximum of 8 people on Adult Weekends. Conveniently sited close to the facilities on the Dunes area, the Delta Large Family 4 Bedroom Caravan has a comfortable and modern design and is ideal for larger families. Sleeps a maximum of 8 people on Adult Weekends. Located on the Dunes area, the Serenity Gold Plus has Double glazing, central heating, full size freezer, two shower rooms, washing machine and large veranda. Sleeps a maximum of 6 people. Situated on the Dunes area, very close to the entertainment, the Lyndhurst has Double glazing, central heating, a full size freezer, separate toilet and large Verandah. Sleeps a maximum of 6 people. Situated on Parkside, the Vogue has Double glazing, central heating, washing machine, freezer and en-suite toilet, French doors with Verandah. Sleeps a maximum of 6 people. Situated on the Dunes area, the Lyndhurst has Double glazing, central heating, a full size freezer, separate toilet and large Verandah. Sleeps a maximum of 6 people. Situated on the Dunes, the Aspen is a comfortable caravan with Double glazing, central heating, a full size freezer and verandah. Sleeps a maximum of 6 people. Situated on Parkside, the Sierra has Double glazing, central heating, a freezer, two toilets, and French doors opening onto a front verandah. Sleeps a maximum of 6 people. 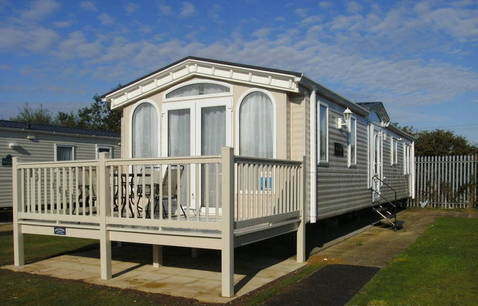 Situated on the Poplars area of the Caravan Park, the Moselle Caravan is very close to the Butlins facilities, it has Double glazing, central heating a full size freezer and use of a washing machine. Sleeps a maximum of 6 people. Situated on the Dunes area of the Holiday Park, the Eclipse Caravan is close to all the Butlins attractions, a practical family holiday choice it has Double glazing, central heating a full size freezer and two shower rooms, one of which is en-suite. Sleeps a maximum of 6 people. Located on the Parkside area of Butlins, the Polaris has a very spacious lounge area, it is fully Double glazing and centrally heated, has two toilets and a full size freezer. Sleeps a maximum of 6 people on Adult Weekends. 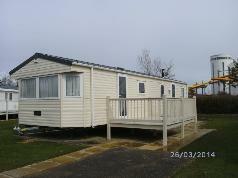 Situated on the Butlins Holiday Village on the Parkside area, the Modern Salisbury Holiday Caravan has Double glazing, central heating, two toilets and a Veranda. Sleeps a maximum of 6 people on Adult Weekends. Fancy a different location for your next Adult Themed Weekend ?